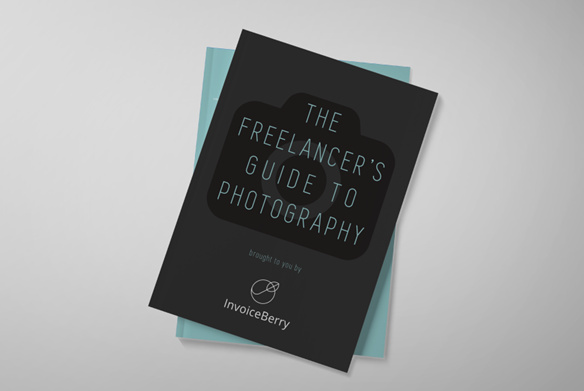 LONDON - Sept. 2, 2016 - PRLog -- InvoiceBerry Limited is proud to announce the free ebook release of The Freelancer's Guide to Photography, the first of InvoiceBerry's new series of ebook guides for small businesses and freelancers. The Freelancer's Guide to Photography is now available for download by following this link (https://www.invoiceberry.com/freelancers-guide-to-photography). The InvoiceBerry series of free ebooks is set to help guide ambitious small business owners and freelancers through the processes of starting their businesses in various fields. The Freelancer's Guide to Photography focuses on the most important aspects of the freelance photography industry. First, it begins with an overview of the advantages and disadvantages of starting a career in freelance photography in order to provide a balanced preparation for what to expect. Second, the free ebook describes how to create a strategic business plan, take care of the financial side of the business with simplified invoicing software, determine the most logical prices and decide on website builders. Third, The Freelancer's Guide to Photography helps readers create their perfect marketing strategy, with a focus on social media marketing. There is even a printable freelance photography checklist to help freelancers ensure they have everything they need.